If you haven’t seen one of these purple signs or posters around Stapleford Town Centre yet, here’s one below! Choose ‘Stapleford Free WiFi’ network on your device. Open a web browser & follow the ‘one-off’ sign in instructions on screen. 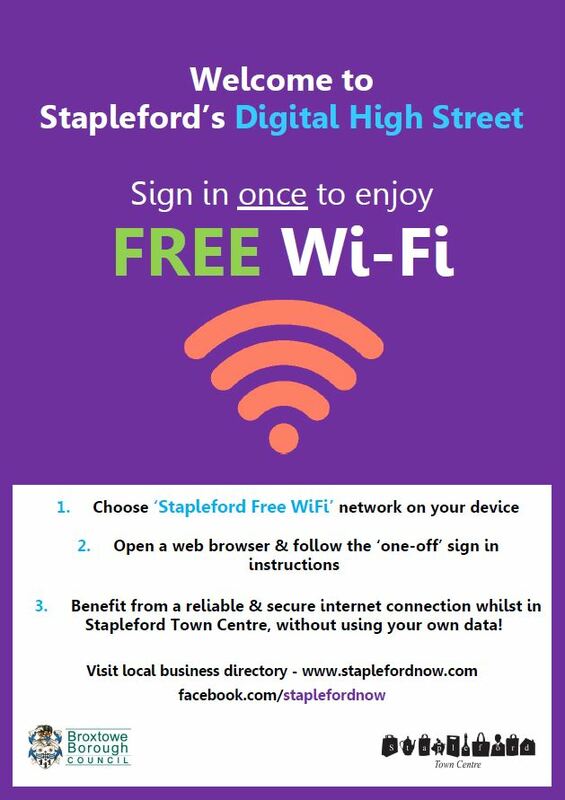 Benefit from a reliable & secure internet connection whilst in Stapleford Town Centre, without using your own data!